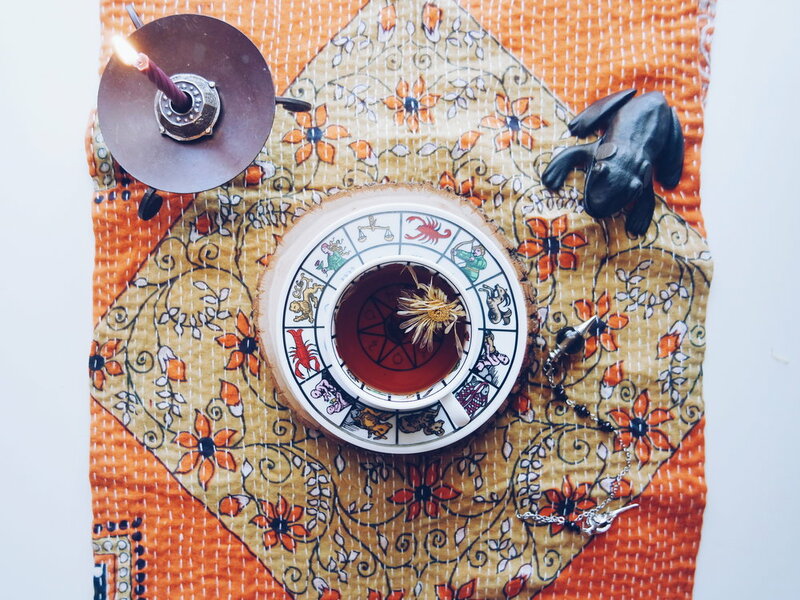 The Lunar Apothecary is filled with small moments of magick in-between the depth work of discovering who you are as a healer and the unique wisdom you bring to the world. The following is a short spell from the course to help you connect with the ancestral current of lunar wisdom. Brew a cup of dark earthy tea. Brew a cup of deep red tea. Fill a bowl with salt water. Bring both cups out beneath the moonlight. Name the dark water potential and the red water spark. Name the bowl of salt water the mighty sea. Add whatever you need to the ritual to make it yours. You can also learn more about the phases and signs of the Moon to time your magick in a way that best supports your needs. If you're looking for more Moon magick, have a whole series on New Moon magick and ritual that you can explore. And if you're ready to take a big leap onto the path of a healer who knows they're own will, dreams, and wild desires, follow me to The Lunar Apothecary.